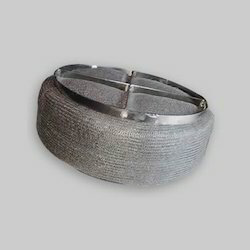 The Demister Pad that we offer carry over liquid particulate matters by gas or vapor. 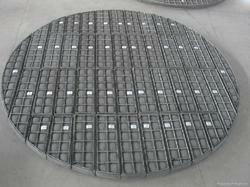 These Demister Pad are generally termed as "Entrainment", which is commonly encountered in Gas-Liquid separations. Our range is a widely acclaimed entrainment eliminator and is specially designed and fabricated from knitted wire of metallic or synthetic materials. It meets the specific process configuration in existing or new equipment of our clients. Moreover, these demister pads achieve 99.9% and more separation efficiency with minimum pressure drop. We are one of the leading manufacturer and supplier of Demister pad.We obligated to meet the quality standards as per the customer demand. We are one of the leading manufacturers, supplier, exporters and stockist of Knitted Wire Mesh Demister Pad in Mumbai, India.